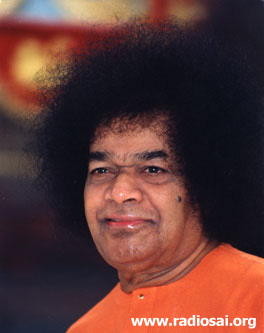 and is currently the Principal of the Brindavan Campus of Sri Sathya Sai University in Bangalore. "You must have not only freedom from fear, but freedom from hope and expectation. Trust in My Wisdom. I do not make mistakes. Love My uncertainty, for it is not a mistake. It is My intent and Will. Remember nothing happens without My Will. Be still. Do not ask to understand. Do not want to understand. Relinquish the imperative that demands understanding." "When are your examinations ending?" enquired Bhagavan, not once, twice, but thrice over a span of a couple of weeks. Each time I replied, "Thirtieth May, Swami." It was the summer of 1983. We were at that time completing our first year of the five-year integrated programme, launched by the newly born Sri Sathya Sai Institute of Higher Learning (which was renamed recently to Sri Sathya Sai University ). The mind refused to explore the purport of the repeated questioning as the heart was immersed in the bliss of sambhasanam (divine conversation). 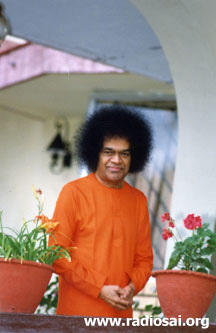 Swami left Puttaparthi for Brindavan on May 8, and we got busy with the University examinations, which commenced the next day. As the days passed, I felt that it would be highly inappropriate to leave for my native town without seeking Bhagavan's permission and blessings, especially after He had so lovingly enquired about the date of the last examination. Thus, it happened that on May 30 with a few of my classmates and the grandmother of one of the students, we boarded the bus for Bangalore and checked into a hotel late in the evening. The next day we reached Brindavan and waited for our beloved Lord in the Kalyan Mandapam. Bhagavan's residential bungalow had been demolished and ‘Trayee Brindavan’ was under construction. Bhagavan had made Devi Nivas, the house of the Rajmata of Nawanagar (which lies between the ashram and the college), His temporary residence. 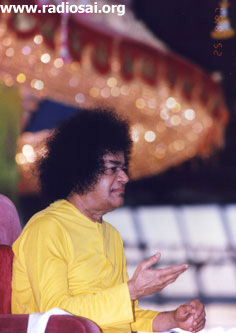 He would come every day in a car from there; give Darshan to devotees in the Sai Ram shed and then sit with the students and the teachers in the Kalyan Mandapam. As it was vacation time, we appeared to be the only students around and were dreaming of the golden opportunity that awaited us. However, after Darshan Bhagavan moved over to inspect the construction site and thereafter got into the car and returned to Devi Nivas. The disappointment in our group of eight students was palpable for we had railway bookings for that day's departure and our purpose of visiting Brindavan seemed to have been defeated with this turn of events. A drowning man is willing to clutch even a straw. One of our teachers suggested that we go to Devi Nivas and try our luck. We rushed there but the gates were closed. Bhagavan was inside and we were outside. Suddenly, a familiar face appeared on the scene. He was one of Bhagavan's car drivers. We recognized each other and he offered to take inside our letters, if there were any. We handed him all the letters for Bhagavan except one, which was with me. Just before leaving Puttaparthi, a senior brother had come to me and cautioning me that it was an important letter, requested that it be handed over to Bhagavan personally. I enquired with him whether I could deliver it through somebody else, in case I did not get the chance to do so myself. The boy was reluctant and said that in such a case I could return his letter after the vacations. We are your children from Puttaparthi, enroute to our native towns. We pray for your Darshan and blessings before our departure. All eight of us signed the above letter. Within a few minutes the warden returned and took the letter inside. A few anxious moments passed. Then we saw someone waving to us from the portico of the building. The gates of heaven opened. We threw our chappals nearby and rushed in. 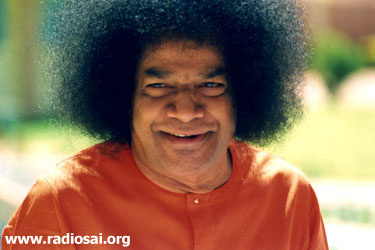 As we were climbing the steps of the portico, the door opened and out walked Bhagavan with His charming smile. Oh, the bliss of that moment! From the depths of despair we were transported to the heights of ecstasy. Bhagavan had already retired and for the sake of just a handful of students had come out once again. Even at that moment we did not fail to recognize the fortune that was ours. My hands were trembling when I held out my senior brother's letter. "Haath me dene ko bola naa. Haath me dene ko bola" (He asked you to give this to Me in My hands only, isn't it? ), observed Bhagavan knowingly. My hair stood on end and a delightful current of thrill passed through my entire frame hearing His words. We were face to face with our God, the Omniscient Lord, the Eternal witness of the entire Cosmic play, but the very next moment we got deluded again. Bhagavan lovingly enquired about our native towns and we foolishly began to inform the All Knowing One. His awesome Omniscience was subsumed in the sweetness of His intimacy. He distributed vibhuti prasadam to all of us. A student prayed for prasadam for parents and we had a second round of prasadam distribution. Another boy informed Swami that his grandmother was also accompanying us. "Take her in a helicopter." Bhagavan's response again revealed His Omniscience for she had been grumbling the previous evening about all the difficulties we had in securing hotel accommodation for the night. As Bhagavan turned to go inside, one of the boys, (who had to leave by 1.00 p.m. that afternoon) shouted, unable to contain his joy, "Sairam, Swami." 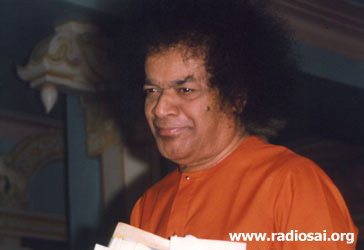 "Sairam", responded Bhagavan and blessed us with His 'abhaya hasta'. We were in raptures over His unexpected greeting and with it He sealed for all of us a cherished memory of a lifetime. The Vedas describe the Lord as 'Kalateetaya namah' (The one who transcends time - the timeless being). Truly, in the presence of Bhagavan time stood still and what in reality must have been just a few minutes seemed like eternity. We had no qualification whatsoever to recommend our case - neither wealth nor social status. We were literally nobody. All that we knew was that we were hungry for Him, hungry for His love. "If you need Me, you deserve Me", declares Bhagavan. "Love My uncertainty." We were being initiated into the ABC of His spiritual vocabulary. Unpredictable, But Sure, is His Grace! Years rolled by and I was nearing completion of my final year M. Com. The door of our classroom at the Institute in Puttaparthi opened into the corridor of the first floor and was always locked. Thus, entry to our classroom was possible only through the adjacent classroom. One morning as our class was going on, suddenly the door opened and there stood Bhagavan. It was very unusual and it had never happened before. Even when He had come earlier to the college, He would visit only the science labs, but not the commerce classrooms. That day He had brought some sadhus (saints), who were organizing the Sadhu Sammelan at Puttaparthi. They happened to have a commerce background and so the Lord decided to show them the commerce department. We all stood up in awe and delight as Swami greeted our professor. The Vice-Chancellor, Mr. S. N. Saraf, who followed Bhagavan into the class noticed one of my classmates and told Bhagavan - "Swami, this boy spoke in the prayer hall today on Swami Vivekananda." “How did he speak?" queried Bhagavan. "Very well", replied the Vice-chancellor. Bhagavan beckoned the student and asked him to take padanamaskar. Then, blessing all of us, He left. Later my classmate told me, "You have spoken many times in the presence of Bhagavan, and I never got that opportunity. The only time I gave a speech, was in the college. But Swami came all the way to our classroom to give me padanamaskar." When, where, how and on whom the Lord showers His grace nobody can predict. We have to love His uncertainty and be ever ready to receive His Grace. It was 30 December, 1997, the day of the Sri Sathya Sai Unity Cup match, the first-ever international cricket match at Puttaparthi between India XI and International XI. The students and the staff of the university had their task cut out as our Institute was hosting the match with the Prime Minister of India, Mr. I. K. Gujral, as the chief guest. There was excitement in the air, but we were busy with the background preparations. I was allotted the duty of transporting food preparations to different destinations from the three canteens in the ashram. Nothing seemed to go right for me that day. From the disappearance of vehicle drivers, to the advancing of the lunch break by one hour, to the traffic jam on the road and the resulting confusion - many things went awry that day, upsetting all my plans. After a bizarre sequence of events, when all the guests had left, I was seated in the mandir portico that evening, dejected and utterly disappointed with myself that I had failed the trust Bhagavan had reposed on us with regard to the day's arrangements. I had done my best against all odds, at times even beyond my known capacities and against my own temperament. Yet it was not enough. Bhagavan came amidst us and told the warden, "I am very happy with the work of the boys and the teachers." Then He walked upto the place where the teachers were seated and pointing to a couple of teachers enquired, "Who all worked today?" "We all worked together Swami," chorused all the teachers and Swami was pleased with our answer. Instantly, my spirits were lifted and the dejection and disappointment that clouded my mind vanished as if in a dream. On deeper reflection I realized that Sai had willed the day's events to be so. What He appreciated and applauded was the sincere, determined and devoted effort put in by each one of us. While the world enjoyed a cricket match, we were learning our own spiritual lessons of devotion and surrender. Happiness Lies in Trusting His Wisdom! Bhagavan's birthday festival in 1989 was fast approaching. Bhagavan had permitted me to leave for Delhi after the birthday celebrations to attend to some personal work and return in fifteen days. On November 24, I sought His guidance regarding my departure. He instructed me to leave the next day. After the bhajans, I went to a devotee who had reserved my ticket for that day as requested by me earlier. I apologized to Him and explained the new development. The devotee said that there was nothing to worry and that He would cancel the ticket. It did seem odd to abandon a confirmed railway ticket from Puttaparthi after the birthday and to travel unreserved. But if it was the Lord's plan, then that was it. I reached Dharmavaram railway station on November 25 night to board the Karnataka Express to Delhi. As the train steamed into the station, I found the train strangely half empty. It was the time Mr. V. P. Singh got elected as the Prime Minister of India. Being election day, most people were in their respective native places and very few were traveling. I boarded one of the compartments and sat on an empty seat. No ticket collector came that night. Perhaps, they were also relaxing with the train being almost empty. I had a blissful sleep that night and the next day I got my ticket reserved. Literally, I could choose my seat as it were. I was mentally thanking Bhagavan for the comfortable journey in spite of traveling on an unreserved ticket. As I reached Delhi another revelation occurred. My sister, who was an artist, was putting up a painting exhibition. For some reason the date of the exhibition was postponed to the very day of my return journey. Had Bhagavan not delayed my departure from Puttaparthi, I would have left one day earlier as per Bhagavan's direction to return in fifteen days and missed my sister's exhibition. This would have disappointed her immensely. As it happened, due to lack of time I left our residence for the exhibition and from there proceeded straight to the railway station to embark on the return journey. When we live with Bhagavan, the frightening levels of uncertainty that surrounds Him may at times unnerve us, but if we learn to trust His Wisdom and love His uncertainty, He takes meticulous care of everything. As we look at our chaotic world today, we may believe that God has a plan but it has gone hopelessly awry. The Divine mystery is revealed little by little, step by step. It is like an action packed thriller movie where the suspense is dispelled only after you sit through the entire movie. We are indeed fortunate to be contemporaries of the living and loving Avatar of our age. It is our duty to rally around Him and join hands with Him in His glorious mission. The play is His; the role is His gift; the lines are written by Him; He directs; He decides the dress and the decor, the gesture and the tone, the entrance and the exit. We have to act the role well and receive His applause when the curtain falls. We have to earn by our efficiency and enthusiasm to play higher and higher roles - that is the meaning and purpose of life. Dear Reader, did this article inspire or move you in any way? Would you like to share you feelings with us? If so please contact us at [email protected] mentioning your name and country. Thank you for your time.